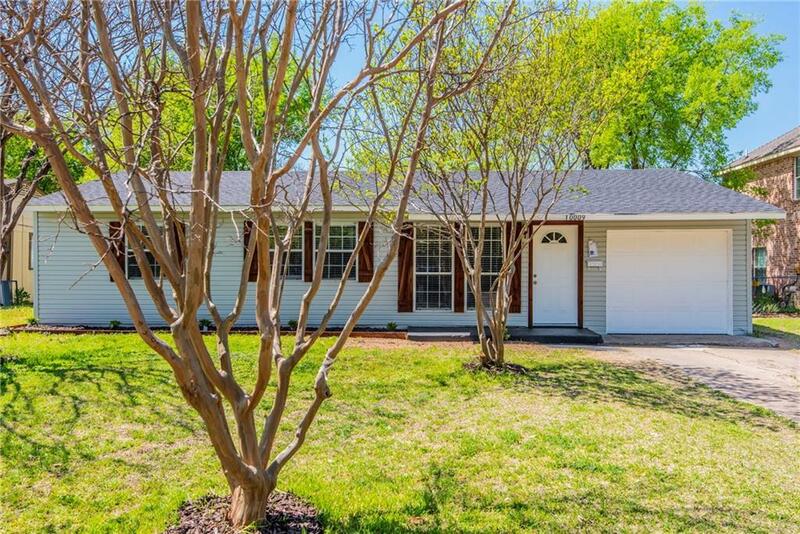 Beautifully renovated, spacious, and clean home in prime Dallas neighborhood in Dallas ISD. Located in Shiloh Park subdivision with 3 bedrooms, 1 full and 1 half baths, living and dining areas, updated kitchen with NEW quartz countertops and cabinets, deck, and Large fenced yard. All NEW appliances include stainless steel range, built-in microwave, dishwasher, washer dryer connection, and ceiling fans. Brand NEW HVAC and water heater! NEW laminate flooring throughout with upgraded bathrooms. Garage parking. Easy access to nearby shopping, dining, parks, transportation and 635. Great place to call home!